Beckwith Commercial Roofing gets our repairs done fast yet efficiently so you can get back to business. Select the company that has consistently achieved excellent ratings and awards from our manufacturers and suppliers. Offering exceptional service for the past 35 years, Beckwith specializes in flat roof repair for commercial buildings. Flat roofs are vastly different than sloped roofs, requiring more skilled levels of care and attention. 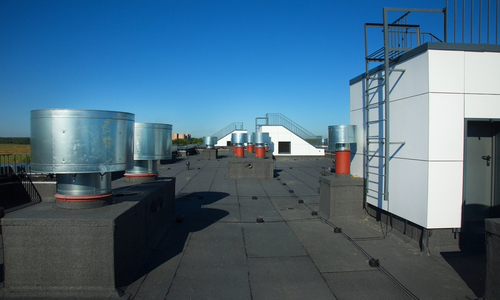 Many businesses have flat roofs because they’re simpler and faster to install. Plus, they work better when laid out over large expanses. 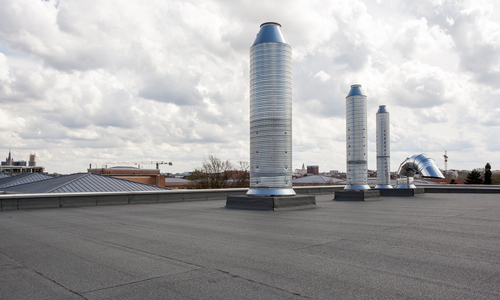 If you can’t afford the downtime that comes with a flat roof repair – and who can? — choose Beckwith Commercial Roofing. Whether you are experiencing a leak, puncture or other issue, turn to our team for help. We have the commercial flat roof repair Moline IL businesses require for quick resolution. Flat roofs seem to have many issues in common, from damage due to leaks or even rusted flashing. Beckwith Commercial Roofing fixes all kinds of damage that occur to flat roofs, utilizing the right materials and tools to ensure the problem doesn’t happen again. Did you know that in most cases, we can repair your roof on the same day you call us? If you don’t need flat roof repair but have another issue plaguing your business, perhaps we can help with our other services. Get a free estimate as a building owner or enlist our consultation services, moisture scanning and available infrared service. For a free quote on commercial flat roof repair in Moline IL, please contact us at 309-205-3039 or email us at info@beckwithcommercialroofing.com.